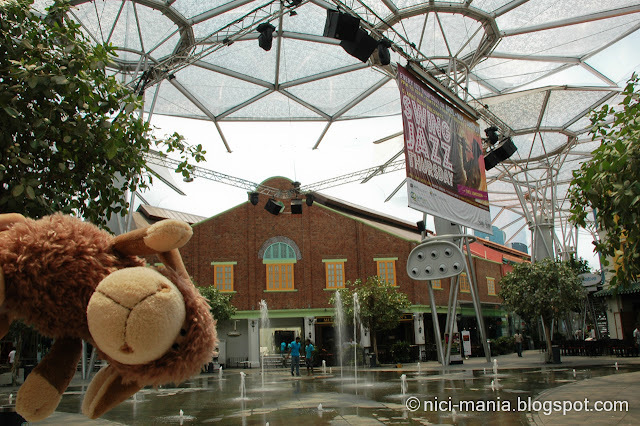 Welcome to part 2 of NICI-Mania's Clarke Quay Singapore River adventure. 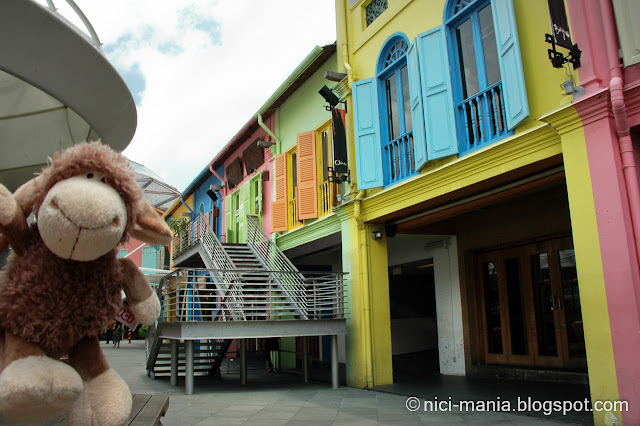 NICI sheep Jolly Mah Jomo continues to bring you more wonderful sceneries of Clarke Quay. Enjoy! As from mentioned in part 1, we just crossed the bridge over Singapore river to the other side of the Clarke Quay. 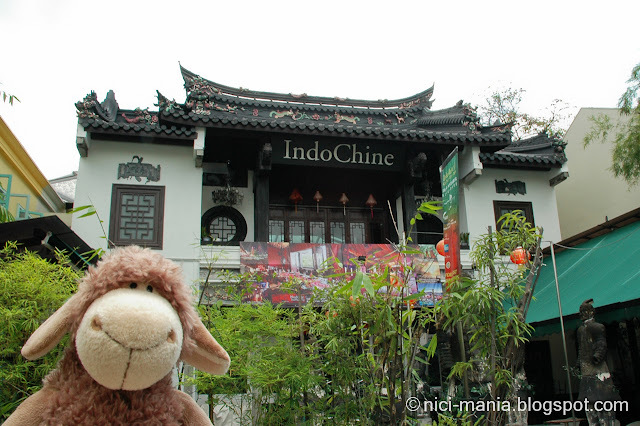 Our brown nici sheep is now standing in front of a Qing Dynasty-esque restaurant. A huge group of tourist were taking pictures here and we had to wait for a long time for them to clear out. Oh look! 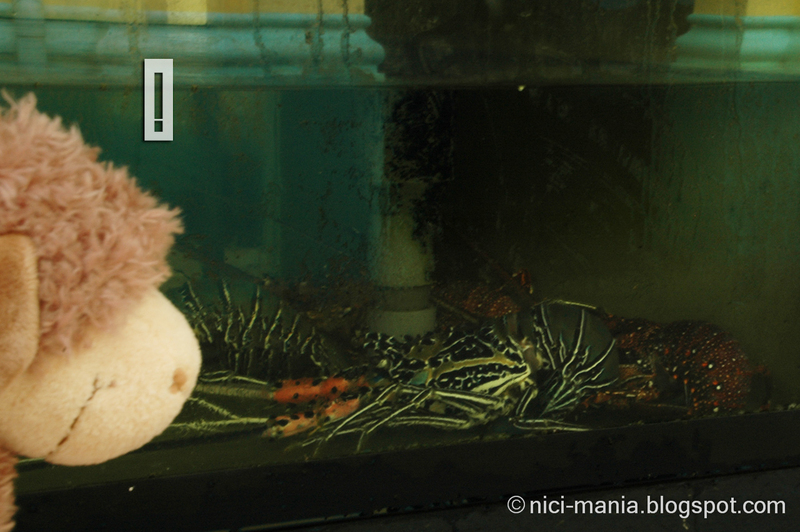 Jolly Jomo found some lobsters in a fish tank. 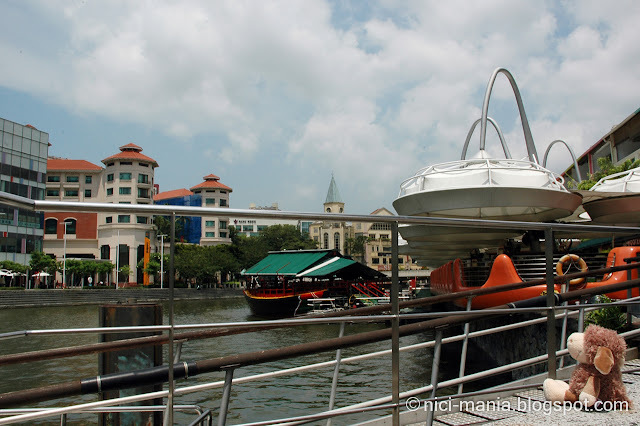 Clarke Quay is well known for the abundance of seafood restaurants lining up along Singapore river. 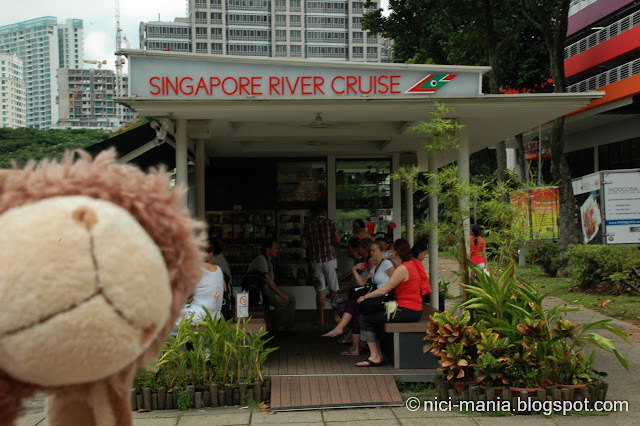 This is the Singapore river cruise that we have taken before as we mentioned in part 1. There are at least 3 or 4 other river cruise services scattered along Clarke Quay and also Boat Quay. 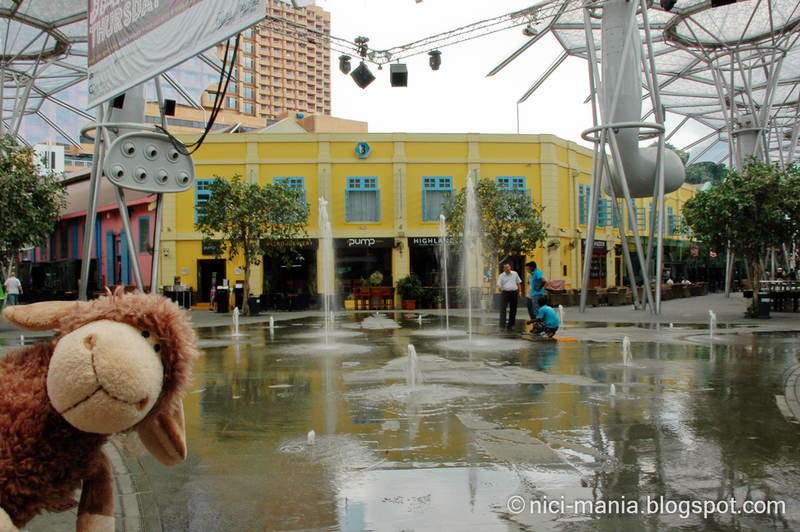 Behind is a shopping center called Liang Court. 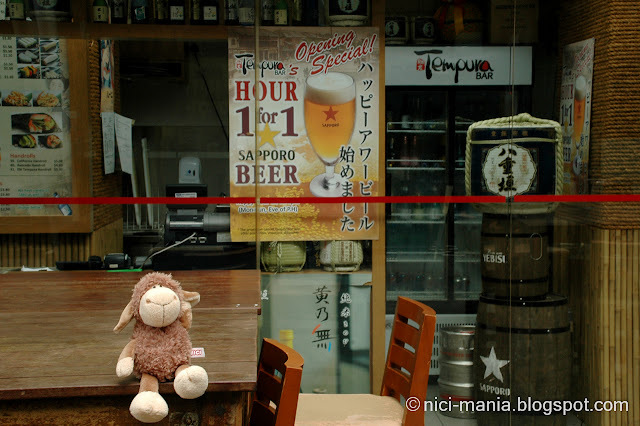 A couple of famous Japanese Ramen shop like Tampopo and Marutama is inside. 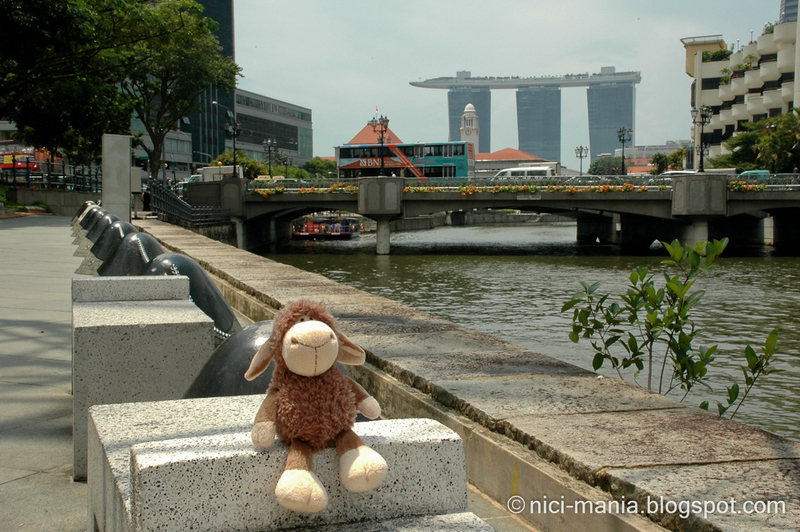 That was the end of the route in Clarke Quay already, so our brown nici sheep turned to another direction. 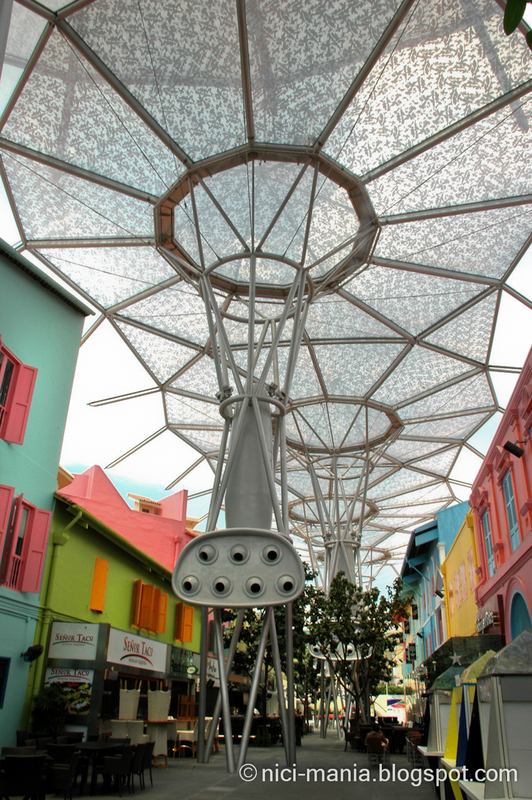 Behind the rows of shophouses in Clarke Quay, there are still many shops specifically pubs and restaurants. Forbidden City! Well it only forbids underage nici sheep like Jolly Jomo, because no animals allowed. Jolly Jomo and a water fountain spraying water through the floor at Clarke Quay. 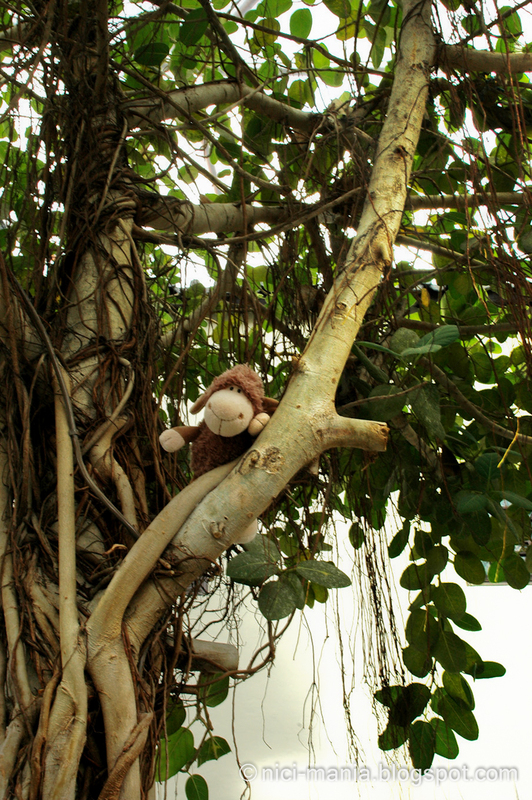 Our mischievous nici brown sheep tries to climb a tree. Hello Jomo! 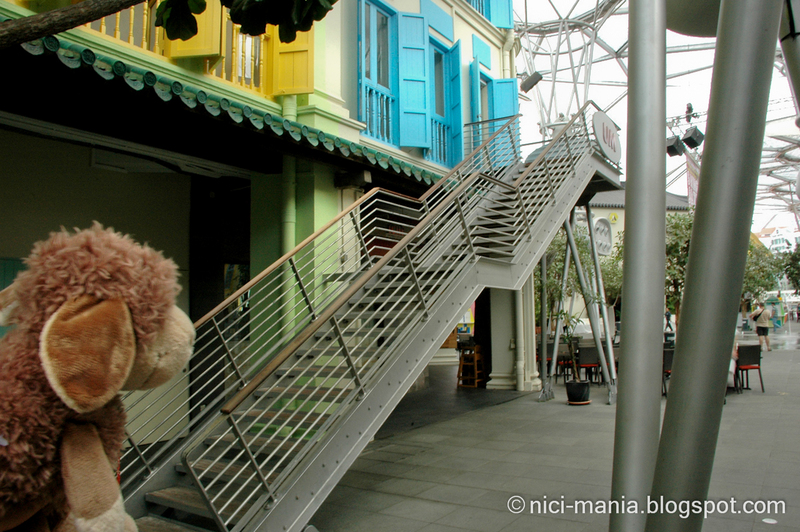 Staircase leading up to some bars and pubs at Clarke Quay. More shops located on behind the front row of shops in Clarke Quay. Jolly Jomo is happy to see our favorite Sapporo beer! 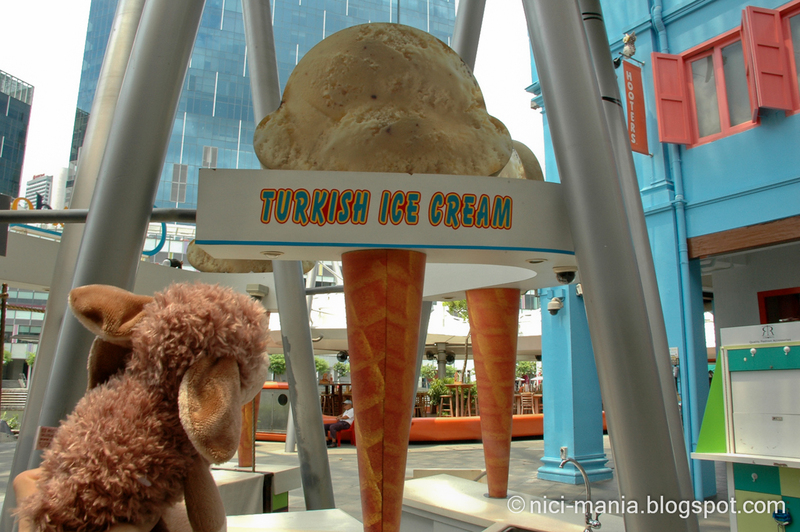 If you come by the night, the Turkish ice cream seller will be performing the dropping ice cream stunt. 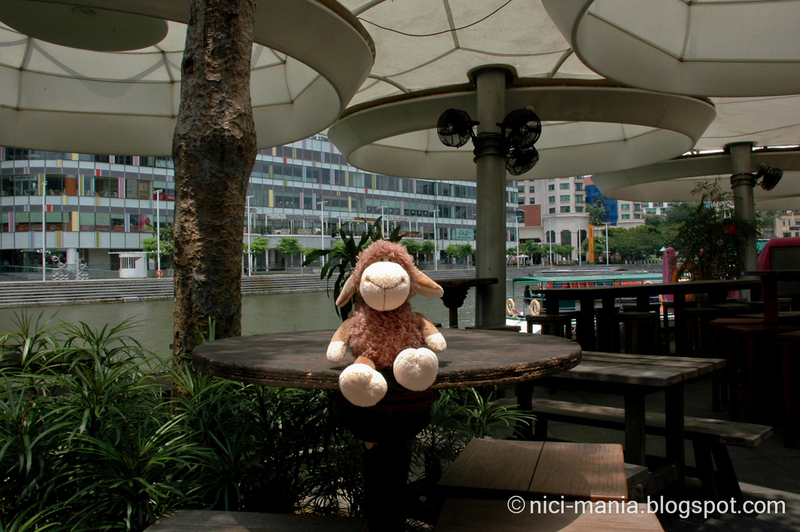 Jolly Jomo taking a rest and enjoying the Singapore river view by Clarke Quay. The riverside bars are all not opened for business during the day. Jomo is able to sit around taking pictures. 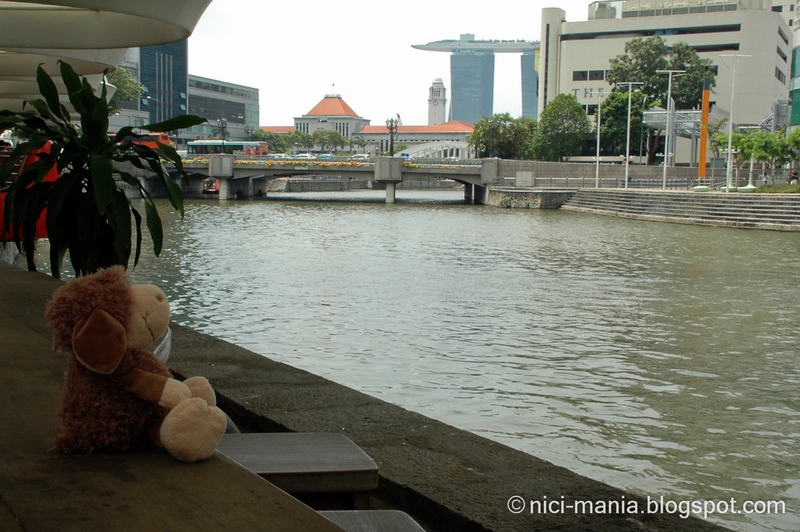 Jolly Jomo catches a glimpse of the Marina Bay Sands unique building at the far end. Remember the colorful shophouses at Clarke Quay we saw in part 1 from the opposite? 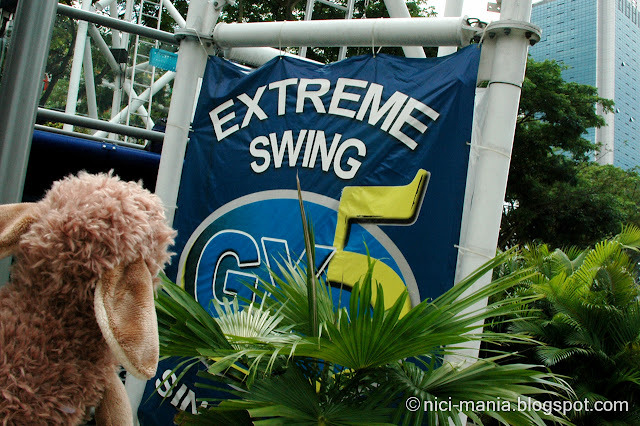 What is this GX5 extreme swing Singapore?! Jolly Jomo is very intrigued to find out.. Extreme swing G5! 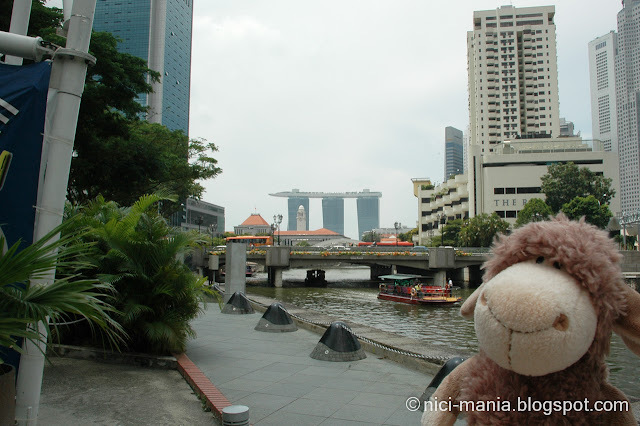 That's what we saw from the opposite side of Clarke Quay. 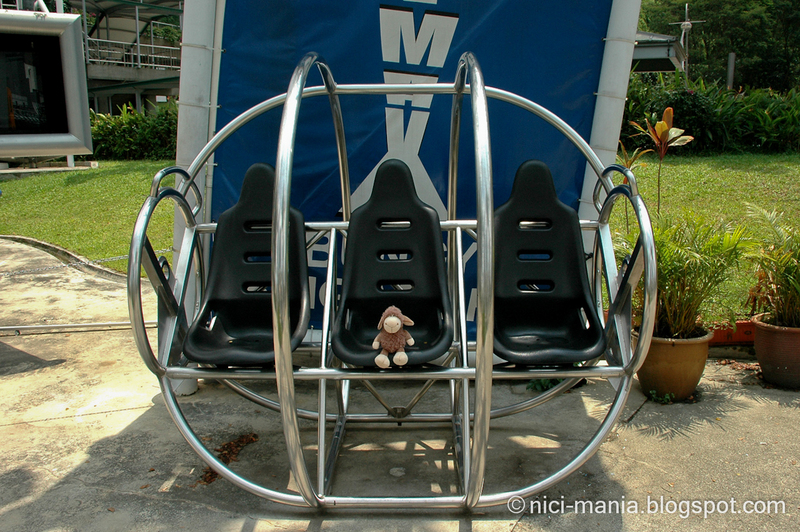 Does Jolly Jomo want to go for a swing! 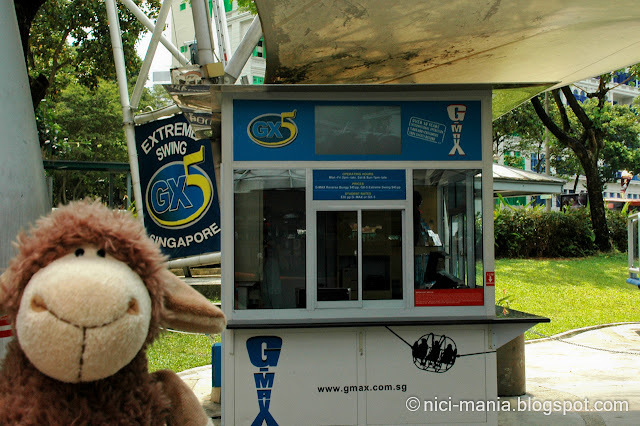 NICI sheep on extreme swing G5..What would happen?! Who wants to see a flying sheep! Jolly Jomo sits down at Clarke Quay for the last time. 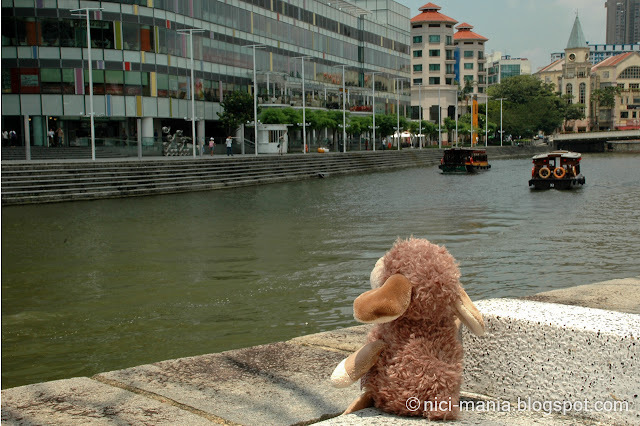 Thats it for Clarke Quay pictures, Jolly Jomo is heading towards Boat Quay and we are still along the Singapore river. 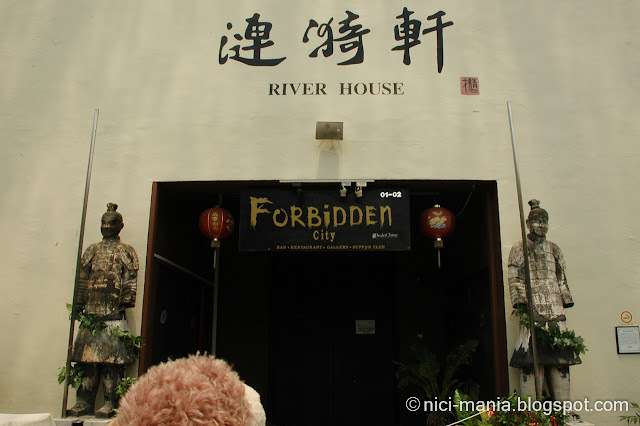 So stay tuned for part 3 Boat Quay adventure! Definitely I'd love to visit Singapore and Clarke Quay. 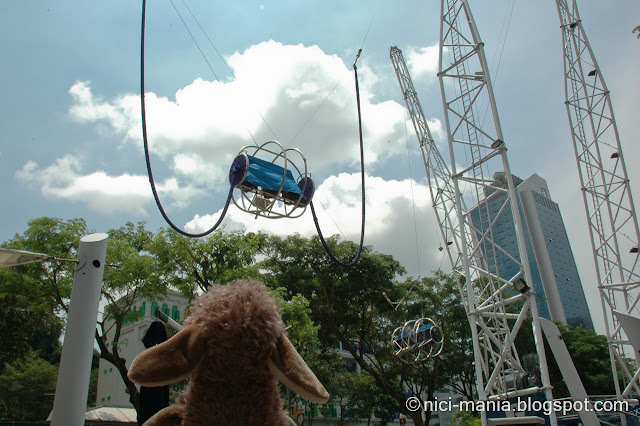 Thanks Jomo for showing us such an interesting place!